On Saturday November 4th, Baker’s JROTC drill team competed in a competition that took place in Ocean Springs, Mississippi. With several hours of hard work and effort that was put into their routines, our fellow classmates showed their dedication by placing 5th in female color guard, 3rd in armed platoon, and 2nd in armed exhibition. With over twenty schools that competed against them and the various categories within the competition, our drill team has a lot to look forward to in their upcoming state competition. 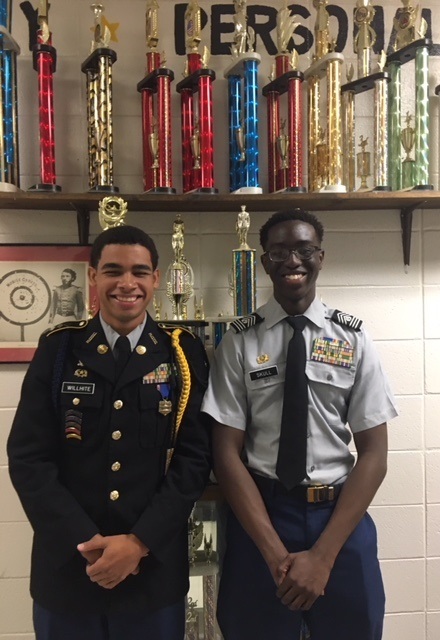 In addition to the team’s outstanding performance in their routines, two students from the team placed highly in the knockout round of the competition. The knockout round is where any participant can join other competitors in the middle of the field and respond to the commanders accordingly. Out of the many people that attempted to win the knockout round they did not stand a chance against senior Chris Willhite who placed 3rd and junior William Skull who placed 1st. Baker’s drill team kept the crowd on their toes while keeping their heads held high as they took home several trophies and will continue to practice and plan for their state competition.